Castles and palaces are the foundations of fairytales, and the castles featured here have been the settings of several films. 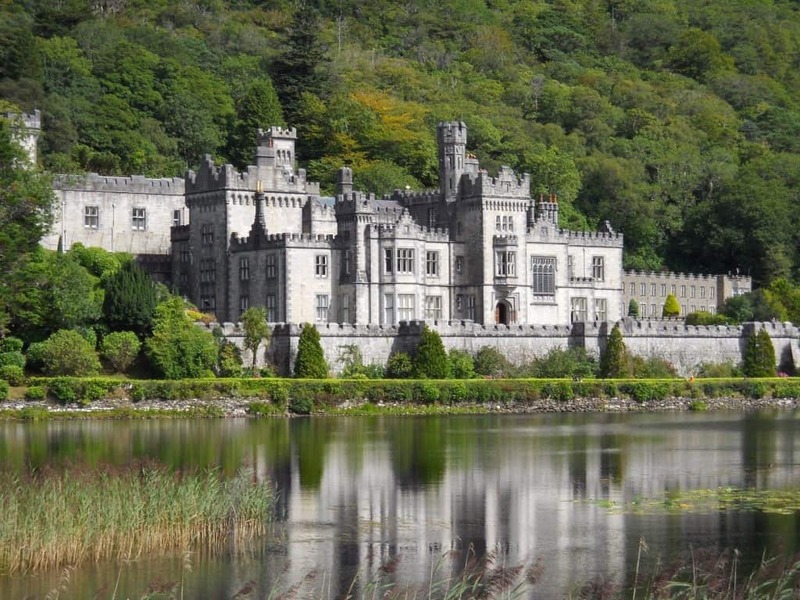 Your fairytale vacation is waiting for you at any one of these fabulous castle destinations. From spending a night in a castle hotel to watching the Changing of the Guard near a palace, you will find that these castles can bring your fantasy vacation into reality. Steeped in history, these 20 fabulous castles were selected on the basis of availability for touring, their landscaping, and their architectural features. 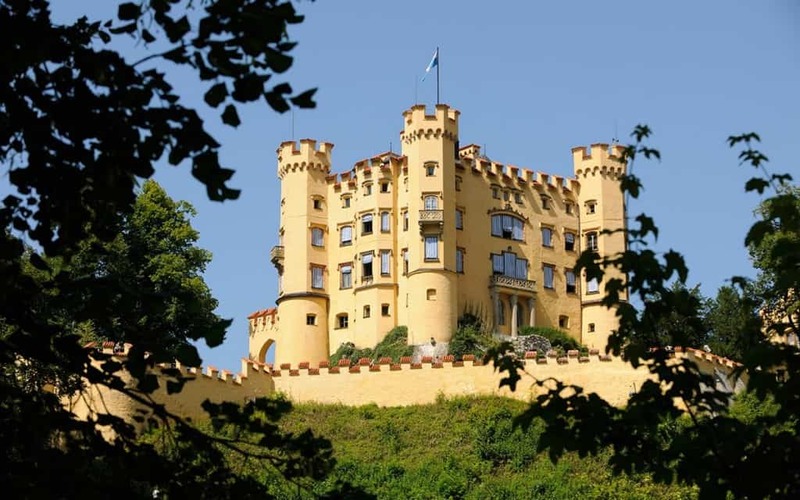 Hohenschwangau Castle was the childhood home of King Ludwig II of Bavaria. It is located in southern Germany near the village of Fussen which is near the Austrian border. The castle was built where the prior fortress Schwangau had stood during the 12th century. Queen Marie continued to live there after her husband’s death, but she was not the last royal resident. After her death in 1889, Prince Regent Luitpold of Bavaria, King Ludwig’s uncle lived on the third floor of the palace. He ordered the installation of electricity, and he added an elevator in 1903. He lived just seven additional years. A year after his death, the palace was opened to visitors as a museum. 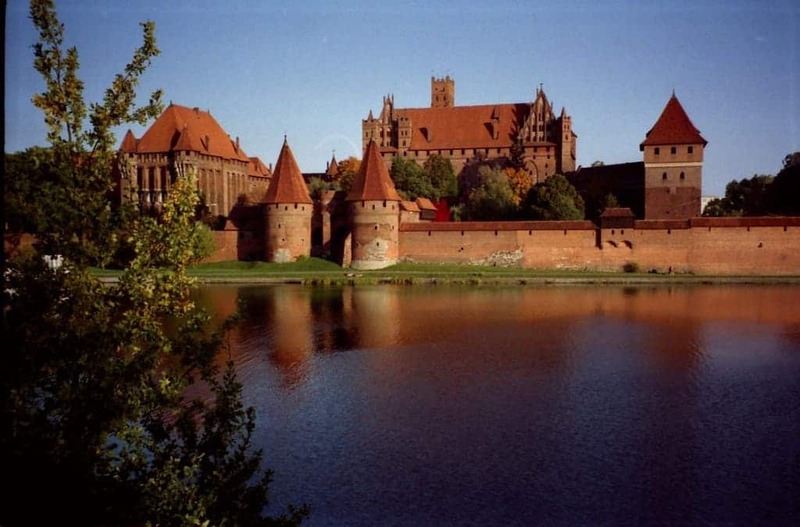 Located on the Nogat River, the Malbork Castle has a long history. It was the monastic home of the crusading Teutonic Knights and was home of the Grand Master of the Order. During World War II, it took a hit and was severely damaged and nearly destroyed. The castle was later restored as a magnificent example of the High Gothic architectural style. 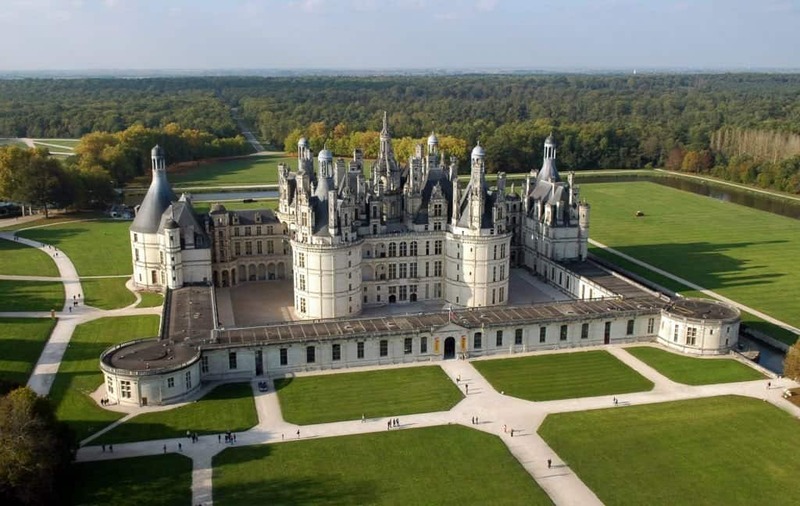 Chambord Castle is located in the Loire Valley, south of Paris, France. Leonardo Da Vinci was the designer of this castle, but he died before the castle was constructed. The main feature of this castle is the fortress wall and the rounded towers. The interior part of the castle is separated into individual apartments. 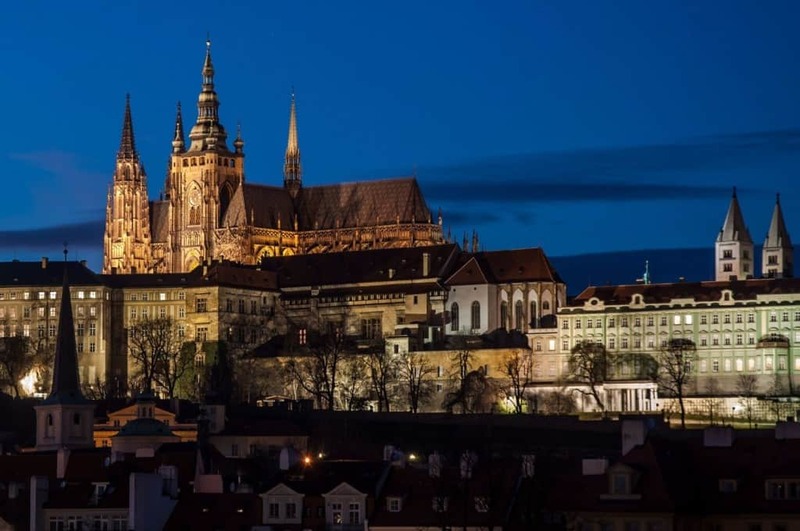 This palace once belonged to Francis I.
Prague Castle is a Guinness World Record holder for the largest castle complex in the world! It covers over 753,000 square feet. You can tour this complex on your own or with a tour guide. The Changing of the Guard is a crowd favorite. 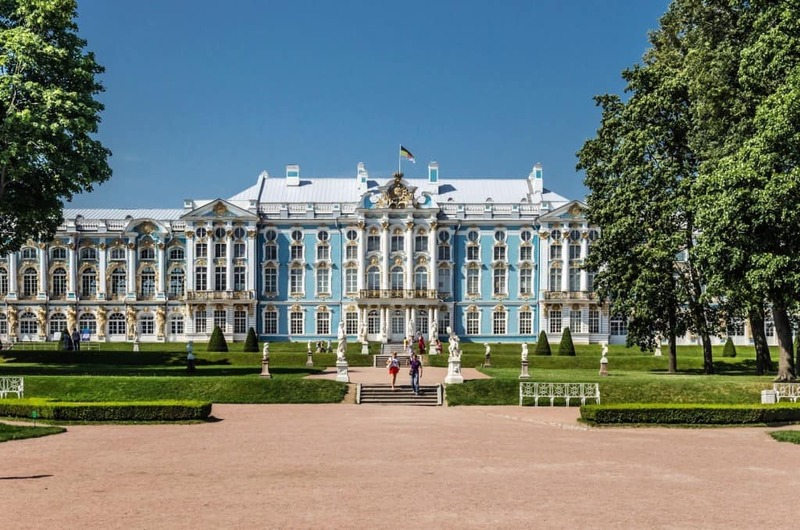 Friedrich Braunstein was the original architect of the Catherine Palace, but Empress Elizabeth, Catherine I’s daughter, did not like the outdated style so she had it demolished and rebuilt in Rococo style. Her daughter, in turn, did not like the ‘old-fashioned’ Rococo style. Catherine the Great added the Agate Rooms in Greek Revival style. She also hired Charles Cameron, a Scottish architect, to remodel a wing in the Neo-Palladian style. Some exterior damage was done to the palace during World War II by the German army, and they completely ruined the interior. Restoration has been possible because Soviet archivists were diligent in their record keeping. Constructed during the 11th Century, Windsor Castle is still in existence as a royal residence. It was a haven for the royal family during World War II. Elizabeth II still prefers to spend her weekends at Windsor Castle. Many state events are held here, and it is a favorite tourist destination. 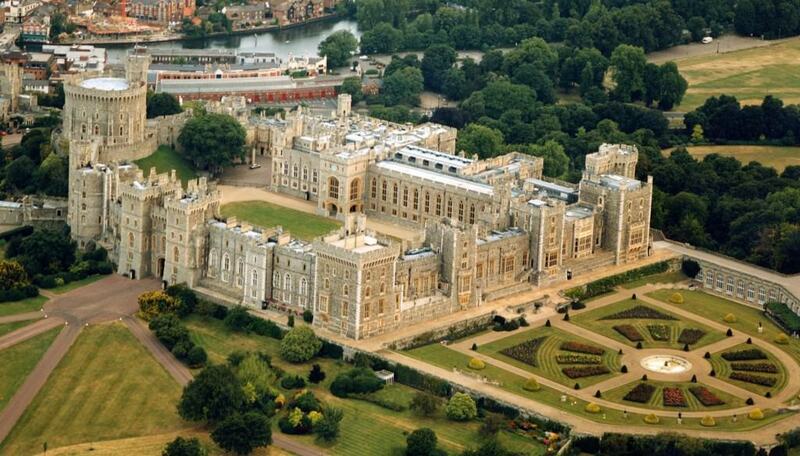 Windsor Castle has all of the amenities of a town, fortress, and a palace within the complex. It is situated on over more than 13 acres. 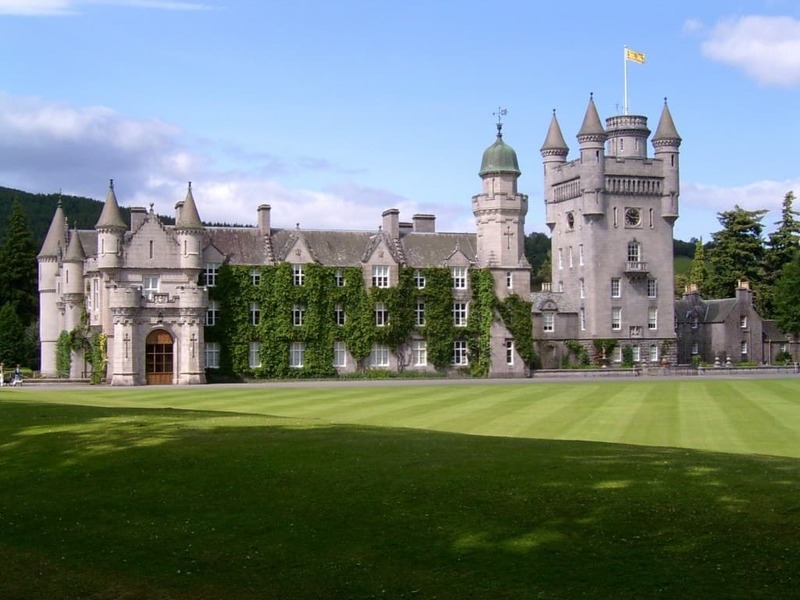 Balmoral Castle is one of Scotland’s most recognizable landmarks. Balmoral belongs to the British royal family. The property and the original structure was purchased independently by Prince Albert and is not property of the Crown; it belongs privately to the royal family members. The current structure was officially designed by architect William Smith, but Prince Albert made personal revisions to the plans. The castle was completely finished in 1856. The estate covers over 50,000 acres and is a working estate with farmland and forestry. The castle’s estate features managed herds of deer. 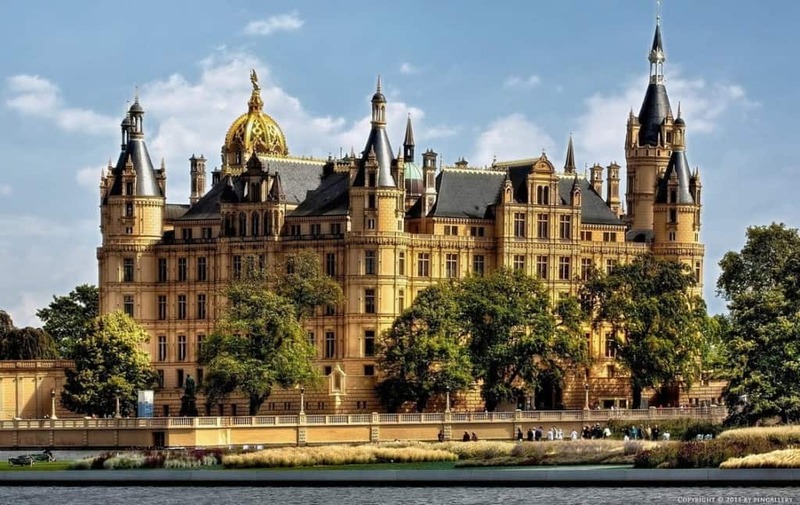 The Schwerin Castle is located on an island surrounded by a lake. Gottfried Semper, Friedrich August Stuler, Ernst Friedrich Zwirner, and Georg Adolf Demmler were the architects responsible for the design of Schwerin Castle. The original palace was partly destroyed by fire in 1913. After reconstruction began, the Grand Duke abdicated following the revolution in 1918. The castle was opened as a museum, and by 1948 it was home of parliament. From 1952 to 1981, kindergarten teachers were trained here. After 1981, it reverted to museum status, and in 1993, the state assembly moved back in to make it a seat of government again. Schwerin Castle also is said to have a resident ghost, Peterman, who haunts the halls. 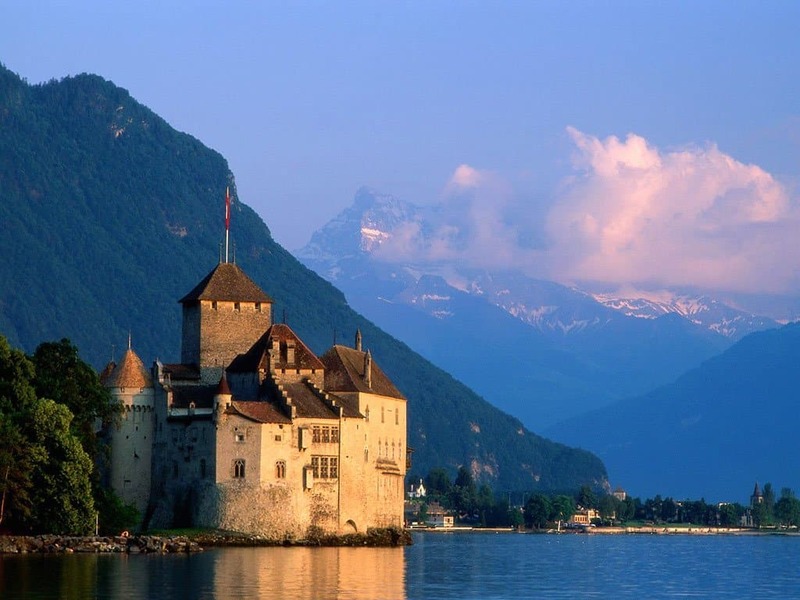 Visit Chillon Castle, Get Inspired! Located on the shore of Lake Geneva, the Chillon Castle is an architectural wonder sitting at the foot of the majestic Alps. Famous guests who have visited the castle include Lord Byron and Victor Hugo. Art exhibits are on display for visitors to enjoy while touring the castle. This castle dates back to 1150 when the House of Savoy controlled the area. Kylemore was built in the late 1870s by Mitchell and Margaret Henry; Mitchell built the castle as a grand romantic gesture for his new bride. The estate covered over 13,000 acres. The castle was visited by King Edward VII, Queen Alexandra, and Princess Victoria in 1903. The Duke and Duchess of Manchester were the next owners. In 1920, it was inhabited by the nuns of the Benedictine Order after they were displaced in Belgium by the destruction of World War I. The estate was also a school for girls operated by the nuns. The property is still in the hands of the Benedictine nuns, and the estate is open to visitors. 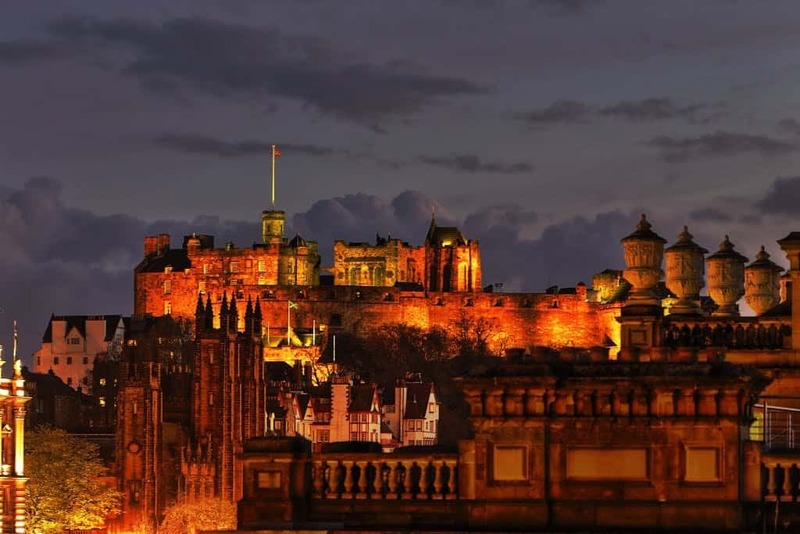 Mary Queen of Scots is just one of the Scottish royals who lived in Edinburgh Castle. For a time, this castle was a base of military operations. It is currently a treasured landmark and tourist destination. 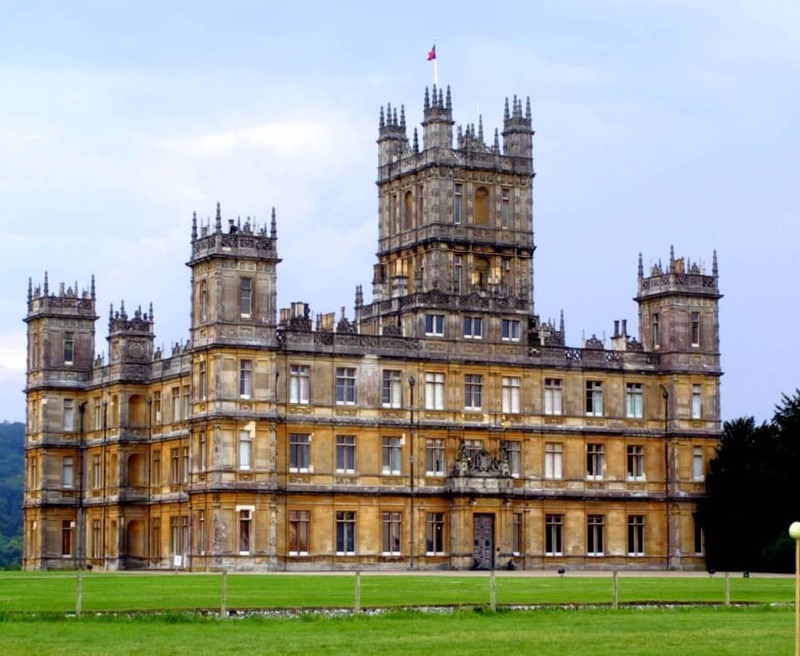 The Carnarvon family’s Highclere Castle has been showcased to the world as the backdrop of Downton Abbey. The castle rests on about 1,000 acres with manicured gardens, paths, and woodlands. In addition to hosting filming, Countess Carnarvon still is in residence here. 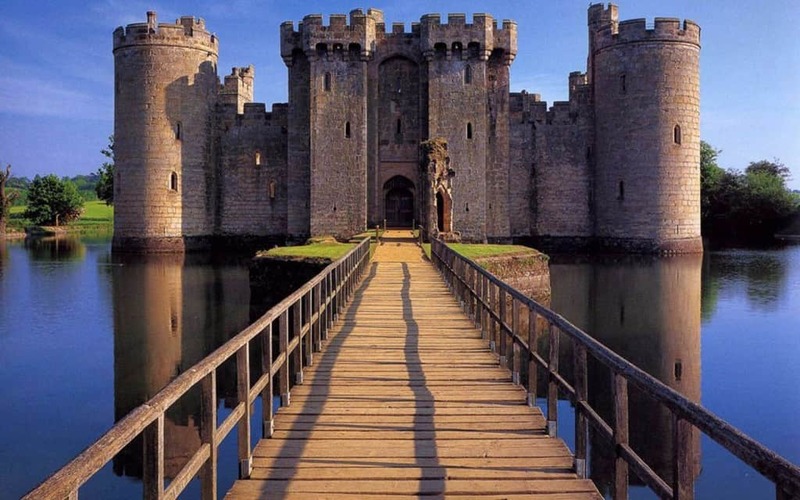 The Bodiam Castle is surrounded by a moat and is located in East Sussex, England; it was constructed in 1385. Sir Edward Dalyngrigge built the castle after being granted permission to do so by Richard II. The Lewknor family inherited the property. Eventually, Lord Curzon owned Bodiam Castle. He donated the property to The National Trust in 1925. The castle is now open for visitors. 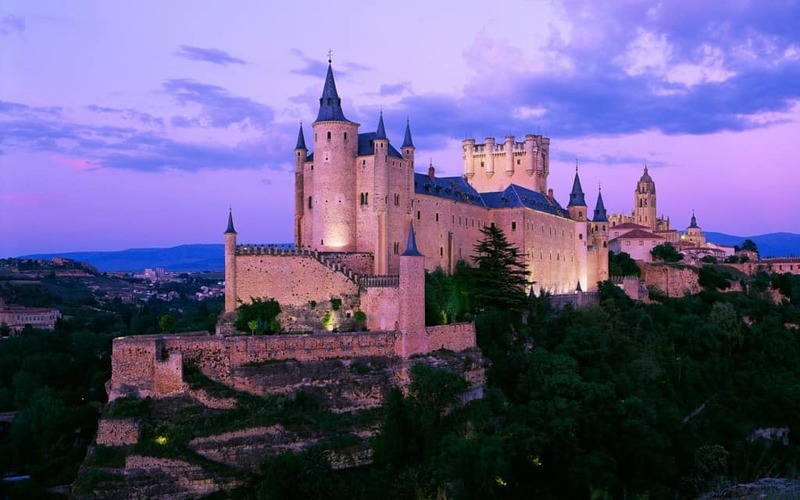 Segovia Castle looks like the castles depicted in fairytales. Nestled near the Guadarrama mountains, the castle is shaped like a ship’s bow and was a fortress during its early years. Later it became a royal residence and a military academy. Currently, the castle is open to the public in its role as a museum. 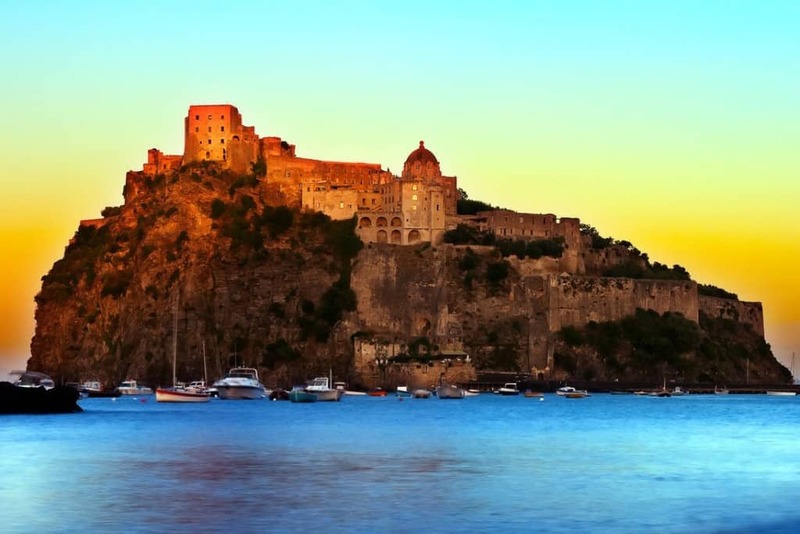 The Aragonese Castle was built on an island known as Ischia, in the Gulf of Naples about 19 miles from the city of Naples, Italy. The castle is accessed via a tunnel. This is a unique castle that you can tour. 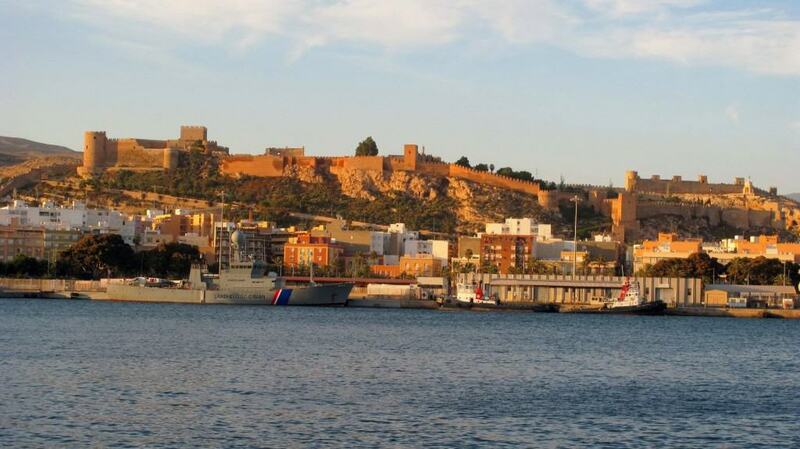 Alcazaba Of Almeria: Have You Seen It In The Movies? The Alcazaba of Almeria is a fortified castle complex that has been used as the setting of films such as Indiana Jones and the Last Crusade and Conan the Barbarian. Ferdinand I had the actual castle built within the city’s fortified walls. It is located in Southern Spain. 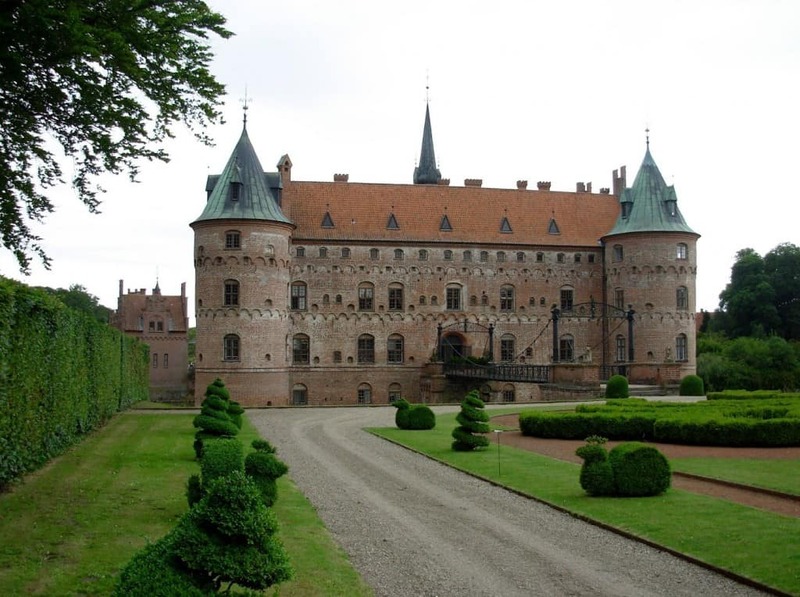 Egeskov Castle is a fabulous castle built in 1554 in Denmark. It features both turrets and a moat. There are even four garden mazes to explore. It is an excellent example of Renaissance architecture. Count Michael and Countess Caroline Ahlefeldt-Laurvig-Bille maintain their private residence in the Egeskov Castle. Areas of the castle are open to the public. 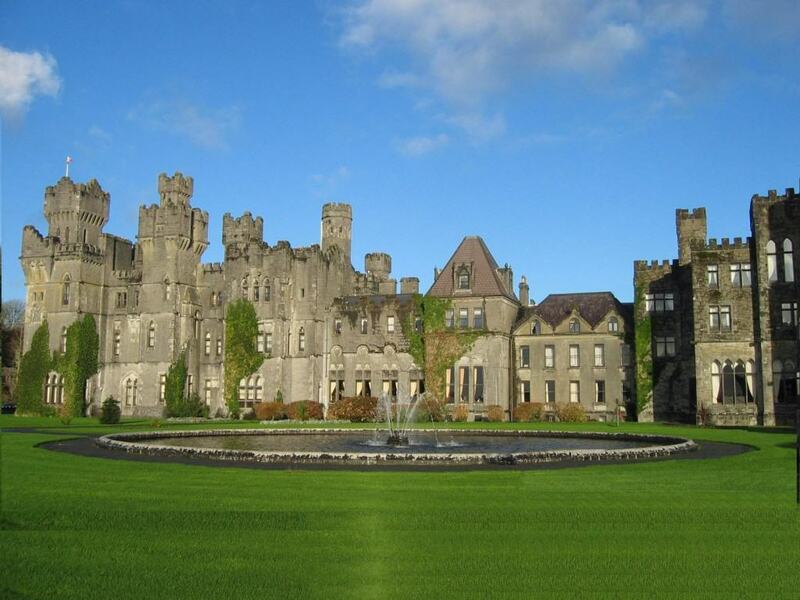 Ashford Castle is a traditional Irish castle that has been transformed into a luxury hotel. John Wayne and Maureen O’Hara starred in a movie, The Quiet Man, filmed there in 1951. The property has changed hands many times over the years, but in 2012, it was recognized as the best resort in Ireland. Schloss Monaco is the residential home of the Prince of Monaco, Prince Albert II. The current palace within the castle property is a place of glamor and royalty while the castle of old is better known as a fortress. Events such as the annual children’s Christmas party are held in the castle’s courtyard. Residential areas are private, but the state rooms can be visited during the summer. 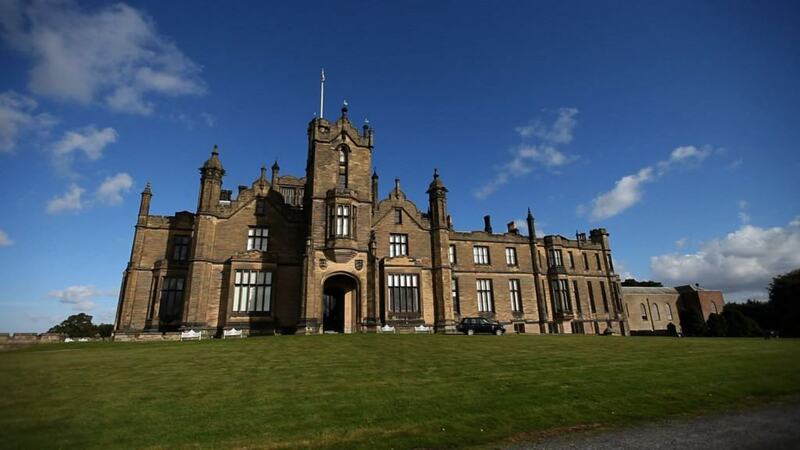 Allerton Castle is a place where fairytales meet the movies. It is a former home of the brother of King George IV, the Grand Old Duke of York, Prince Frederick. Since the Rolph Foundation has been maintaining the property, it has become the setting of several movies including The Secret Garden and Till We Meet Again. You can rent the castle for private events such as weddings and corporate gatherings, and Allerton Castle is open to the public for touring.